In the IELTS Writing Exam, you are mostly being judged on your ability to construct a well-written essay. However, part of the task is responding to the question, and that means being able to pick a question apart to understand exactly what it means, and what you – as the candidate – are required to do. 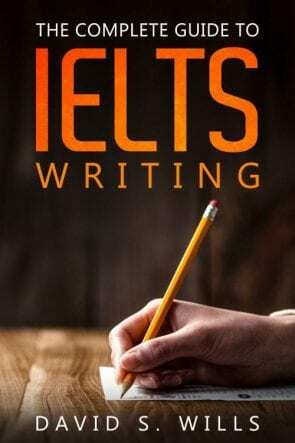 Fortunately, the questions in the IELTS Writing Exam are quite predictable (at least in terms of theme and style) and so it is possible to practice analyzing them. These will guide you to a finer understanding of the question, rather than a general understanding. Knowing that a question is about pollution is fine… but is it about air pollution, water pollution, or light pollution? Here’s a question from a recent IELTS Writing Exam conducted in Azerbaijan. Counties with long working days are more successful economically, but there are some negative social consequences. To what extent do you agree or disagree? Let’s look at some questions you may want to ask yourself after seeing a question like this. What is the topic? Society. What aspect of society? Work. What exactly are we considering about work? Working hours. How do working hours relate to society? In terms of economic success. More work equals better economic success (for a country) but this has a negative impact on society. Then, of course, consider the action prompt – to what extent do you agree or disagree? Well, what is it we’re agreeing or disagreeing with? There are essentially two parts to the statement – that working hours improve the economy, and that there are drawbacks to those long hours. Once you understand the question, you can begin to plan your answer. This is always important in the IELTS Writing Exam. You must plan before you write, or else even a native speaker will have trouble achieving a high score! Some people think that a country’s economic success is related to the amount of work done by its citizens each day, and therefore countries with longer working hours tend to have higher levels of productivity. However, although this may seem like a positive phenomenon, there are actually some serious drawbacks. This essay will argue that longer hours can be counter-productive. To begin with, the claim that longer working hours equates to economic success is hard to substantiate. For one thing, the most economically developed countries in the world don’t necessarily have longer working days than the less-developed nations. In fact, in recent decades Europe and North America have seen the average work day decrease in length along with a rise in output, while many poorer countries see their populations toil with little to show for their efforts. Thus, one could conclude that it is quality of work and not quantity that is important. The reason why some countries have longer working days and yet lower levels of economic productivity is most likely related to the negative social impact of these long hours. To maintain a strong economy, a country needs a healthy and happy population who are engaged in activities that generate commerce. However, if people are working all day, they have less time to eat out at restaurants or go shopping. While it may seem trivial, these are important for the economy. Moreover, when people work too much, their health may suffer, along with their relationships. These too can cause a drain on the economy. In conclusion, it is not always true that longer working hours correlate with economic success, and the reasons for this are varied. In fact, as demonstrated above, having a population work too much may actually do the opposite of what is intended. Please don’t ever use this or any variation of it!!! IELTS examiners hate it!!! It’s what we call an “IELTS phrase,” meaning something that bad cram schools teach students. Remember, you can’t memorize or cheat your way through this exam.